Will your school join “A Breath of Fresh Air” project? Over 100 people attended the PV of our exhibition “A Breath of Fresh Air” on the 25th March and over 60 students participated in our workshops during the week. 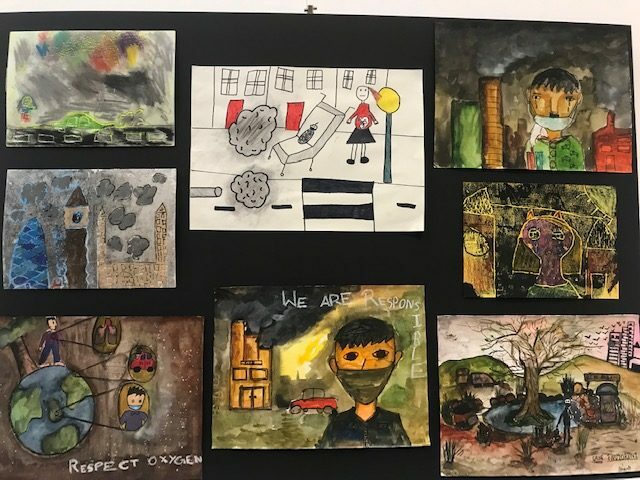 The attendees were impress by the responses to the common issue of air pollution the children from both New Delhi and London were able to communicate using art. The children and the teachers eagerly joined in the activities organised for them: after an exploration of the artworks, we had a group discussion on the issue, and we asked the children to be artivists for the day engaging in activities which involved conceptual, visual and performance work. At the end they decorated their breathing masks and filled in pledge cards that they carried home. Our hope is to bring this project in as many schools as possible, so if you are interested contact us today!